A black stone is cut and polished into a triangular shape and is engraved with Cho Ko symbol to make Black Agate Triangle Choko Reiki Pendulum. 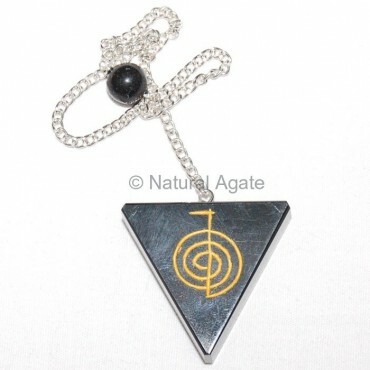 This pendulum can be used during reiki to draw energy towards the healer. Natural Agate offers various Cho Ko reiki pendulums.